Magnesium, calcium and zinc are three of the most important minerals needed in our daily diet. muscle functioning, boosts the bio-availability of B6 and cholesterol. It helps to prevent osteoporosis(drop the dairy! Milk doesn't do a body good! ), insomnia, constipation, hypertension(lowers the risk of heart disease), kidney stones and even lessen migraines. Studies show that magnesium aids in carbohydrate metabolism and influences the activity of insulin, controlling blood sugar levels. Magnesium, calcium and sodium are highly alkaline and keep are bodies and blood from getting to acidic. Acidity cause inflammation which is the major cause of most chronic diseases, including cancer. Our bodies are good at maintaining the acid-alkaline balance, even if our diets are poor! But, the buffering of acids are meant to be an occasional backup system. Not all the time! Not a state of emergency draw down everyday! We then deplete are bodies of these important minerals. Our bodies begin to become more acidic and trouble begins. 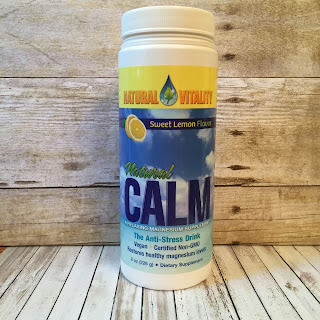 For a way to up your intake of magnesium and help sleep and anxiety try Natural Calm. It is available at most health stores or online. You will definitely feel a difference. For a informative and easy to understanding look at how our bodies are suppose to work, Check out: Superlife by Darin Olien a great book to have in your library. Or listen to his interview on the Rich Roll Podcast. A lot of people I know are having issues with sinus, sore throats, coughs etc. Those who know me, are asking me for a natural remedy instead of over-the-counter products. I am a firm believer in starting the day with a coconut oil pulling session, followed by a morning cup of warm lemon water/raw honey. Some days if I'm feeling sore, I will have a mixture of Turmeric and honey. By starting a daily wellness routine you can stay healthy and prevent or lessen the severity of any cold etc. that comes your way. add ginger for 20 minutes, add honey to tatse. Heal- greens for healing(alkaline-antiviral) Super green lemonade. Sore throat- Turmeric gargle, 1/2 cup warm water,1/2 tsp turmeric, a pinch of sea salt. Nasal- daily neti pot. This really works!, If I miss a day, my sleep is disrupted. Not to mention Kris'. 2 tbs raw apple cider vinegar. Combine all ingredients in a mason jar, shake it up, pour in a shot glass. Drink it throughout the day. Store in the refrigerator. Slice a 2-3 inch piece of fresh ginger and bring 4 cups of water to a boil. reduce heat and let simmer 10-15 minutes. remove from heat and let coll awhile. Discard the ginger. Add/stir juice of 1 lemon and 1/4 cup of raw honey. When at room temperature, add 4 cups of ice into a high speed blender and make a slushie. Feels great on a sore throat! Just combine all ingredients and shake, store in a glass jar in the refrigerator. ACV is loaded with beneficial enzymes and good gut bacteria. The acetic acid can help kill off candida, which causes anxiety, depression, acne, fatigue and foggy brain. The lemon is full of vitamin C and promotes the liver to produce bile which promotes digestion and remove toxins from our system. Honey and cinnamon with a pinch of Himalayan salt. In a small jar, mix 4 tsp of raw honey and 1 tsp of cinnamon, add a pinch of salt. Take a 1-2 tsp of mixture two times per day for a few days. Not only will your cough reside, it has positive effects in reducing blood pressure. By mixing it in lukewarm water it moves through the bladder and cleanse's it of infections. It also helps relieve arthritis pain and strengthens the immune system. So there you have it, with just a few different ingredients you can get healthy and by eating clean, exercise and plenty of good sleep, you can stay healthy. Kris made some Roasted Red Pepper Hummus yesterday...its almost gone! Check out the purple cauliflower from our local farmer- Tomazin Family Farms since 1916! Thanks Paul for all the veggies! We all know the benefits of eating fruit. Most fruits are high in fiber, folate, potassium, vitamin c and many more nutrients. All these nutrients and minerals help guard against disease, strokes and high blood pressure. Fruit is a natural detoxification tool and provides us with natural sugars. When eaten the correct way and time it will cleanse the body of toxins and help the digestive system. to digest fruit and it needs to process the fiber and nutrients separately. That is why it is best eaten by itself, first thing in the morning. You absorb all the nutrients and vitamins and avoid digestive problems. If you think about it, it is easier for your body to digest one type of food or fruit, then a crazy combination of buffet style food! Remember how you feel after going to a "buffet" and stuffing yourself with numerous different foods. I refuse to do that anymore! When you eat fruit with other foods, it stays in the stomach too long( other foods digest slower) and begins to rot and ferment! By eating only fruit in the morning and fruit as a mid-morning snack, you will kick your metabolism into high gear. Great way to lose weight and have plenty of energy. Everything will be digested by lunch time and you will be ready for a great meal to continue through the day. Here is a great chapter from Dr. Garth Davis' book "Proteinaholic"
Also a link to a great Rich Roll podcast about a ultra-runner, who only eats fruit! Here's a link to my Pinterest, if anyone wants to find a great recipe or links to wellness info.